Come and have fun at Wild Geese Lodge - Mother's Day Lunch 14th May 2017. 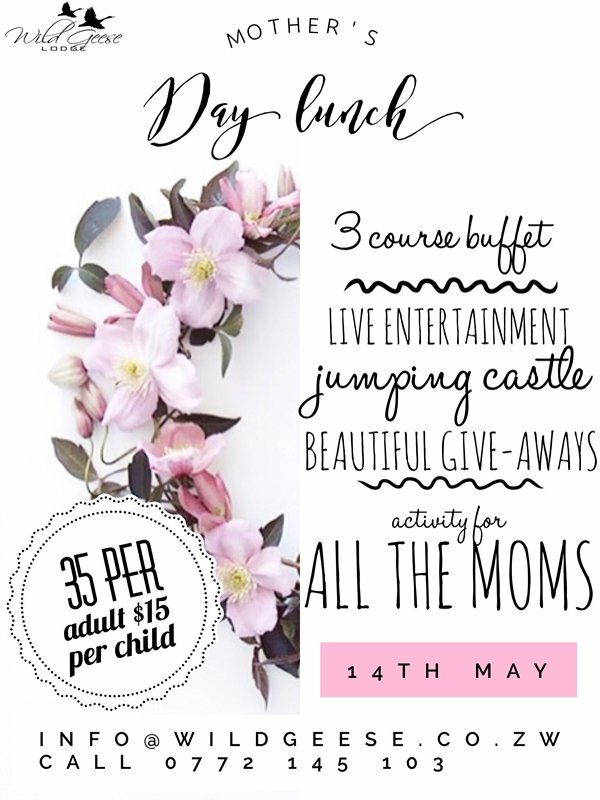 Enjoy live entertainment, jumping castle and beautiful giveaways, 3 course buffet, and activities for all the moms. $35 per adult and $15 per child.